With K12 Transfers, counselors can request and monitor student transfers. To enable a counselor to request transfers to a site, you need to assign an individual to the counselor role and assign them to sites. 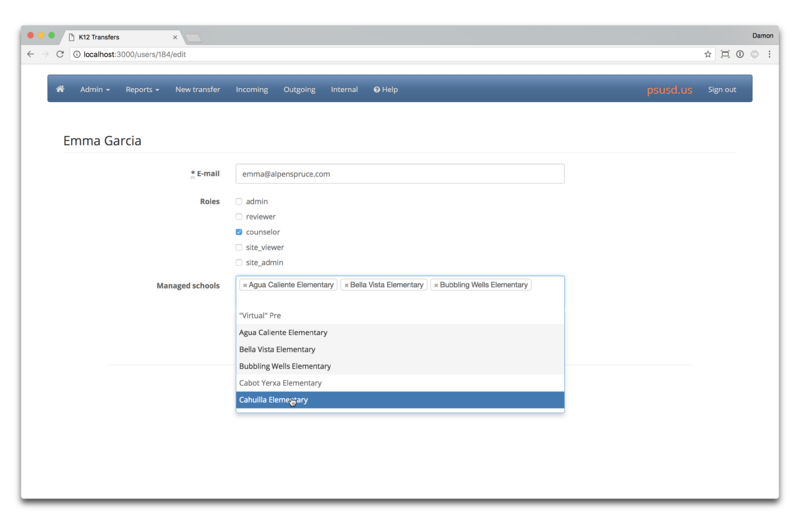 Assign the counselor role to the user you wish to be a counselor and assign sites they can request transfers to.